Booth: R07 266 Parents want this! Many may see rock climbing as dangerous but do you know rock climbing actually helps in building one's strength, confidence and coordination? 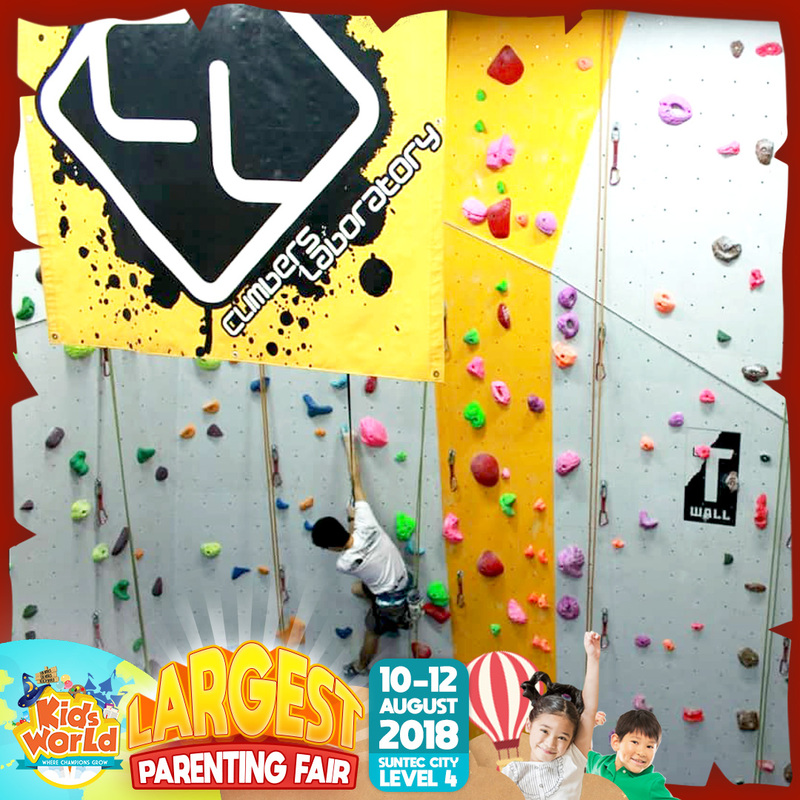 Climbers Laboratory by Exponent Asia is bringing these huge walls in to the fair for your kids to try it out! Shortlist and climb away!! Find them at booth R07! Climbers Laboratory by Exponent Asia provides a safe and conducive climbing session at our very own indoor climbing gym. Clinics, Sport climbing and Abseiling certification courses are conducted by Singapore Mountaineering Federation’s certified instructors.